Peace Church is the English-speaking and international Methodist congregation in Munich, Germany. It forms its own Charge Conference within the South Germany Annual Conference. 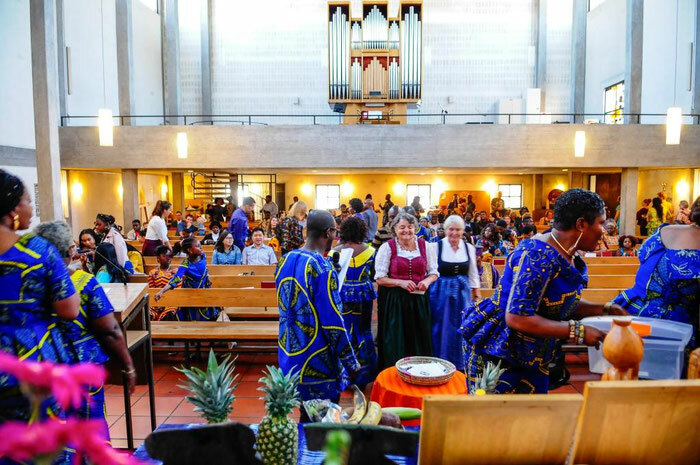 English-speaking families who come to live in the greater Munich area for the most varied reasons take part in the life of the congregation. For many it is only a temporary station on their way. Others stay longer. Currently the congregation can count over 150 full (confessing) members, many so-called church friends and more than 70 children and teenagers. On Sundays roughly 120 persons from far and near worship together. During the church year special worship services appeal to specific groups: all-age services, an African-style Harvest festival in autumn, a typically British Children’s Nativity Sunday in Advent and many others. Among the unusual strengths of the congregation is its ability to welcome and integrate newly arrived persons into the church family quickly. The special needs of asylum seekers and their families & English-speaking prisoners present a unique opportunity for ministry. On the basis of many national and international contacts represented in the congregation, our church family has been able to find concrete solutions for many persons in need over a long time. The United Methodist Church in Germany is organized as a Central Conference within the United Methodist global structure. It is part of the quadrennial meeting of the General Conference; however it is also a Central Conference. 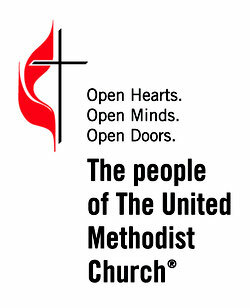 All United Methodist bodies are governed by the same Constitution. By-laws, and Social Principles as found in the Book of Discipline written every four years following the meeting of the General Conference. However, within the Central Conference decisions can be made regarding structure and administration of the local area. It is similar to the Jurisdictional Conferences within the United States, but has broader powers relating to the national and regional structure and legal system. The Book of Discipline of the German Central Conference can be found on the EmK Intranet and on the Internet (look for "EmK VLO"). The Central Conference meets once every four years, usually in the fall of the year in which the General Conference meets. There are four Central Conferences in Europe: Germany, Northern Europe, Southern Europe and Russia. Each elects its own Bishop. Germany is divided into 3 Annual Conferences - North Germany (NJK), South Germany (SJK) and East Germany (OJK). Each Conference meets annually and has its own set of Conference rules, committees and procedures. Munich and the Peace Church are part of the South Germany Annual Conference. Every district has at least two pastors meetings during the year (Distriktsversammlung). These range from a full day meeting to three day meetings at a retreat center. Pastors are expected to attend. There are four districts in the South Germany Conference - Reutlingen, Heidelberg, Stuttgart and Nürnberg. Each district has a District Superintendent (DS). Peace Church is part of the Nürnberg District. The DS comes to every local church or charge (Bezirk) for an annual meeting (Charge Conference). At this meeting reports are due from the church, its lay leadership, and pastors as to the health of the congregation, the past years’ accomplishments and the future planning. Lay leadership is also elected at this time.